Last week, we discussed an article by Bryan Goodman in the August 2007 edition of Attention! magazine. In the article, nationally-recognized expert and former CHADD (Children and Adults with Hyper-Activity Deficit Disorder) professional advisory board member Arthur Robin, Ph.D., listed financial tips for those living with ADHD. Even if you don’t live with ADHD, you will find these tips extremely useful. Develop strategies that encourage self-control. Meet with a coach and talk about mechanisms and ideas you can put in place that will help prevent you from making quick decisions. Consider making a commitment to hold off for 24 hours before entering into business decisions or making purchases. Surround yourself with the right people. If you are impulsive or inattentive to details, make sure you are working closely with people who are more cautious and reflective and who show great attention to detail. Recognize your own strengths. Knowing what you’re good at will bolster your self-esteem, helping you make it through turbulent financial times. Plus, knowing your positive traits will help you to recognize and accommodate your weak points. Develop “to-do lists” and prioritize your day. Factor in appointments, bills that need to be paid, and paperwork that needs to be filed. These priorities should be established the night before you plan to work on them. Plan for rainy days. Build your savings, putting aside enough money to live on for rainy days. 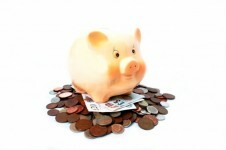 In addition to the savings, devise a contingency plan for tough financial times. Remember, a professional organizer can help you accomplish the goals on your “to-do list” and support you along your journey to where you wish to be.